We’ve finally reach the point where the Internet of Things is a reality in our everyday lives. At CES, we’ve taken note of three ways connectivity and commerce are coming together. 2017 was the coming-out party of Amazon’s Alexa with all its partnerships. It’s not just a smart speaker or a cute way to get trivia. It’s the voice interface to the Internet of Things. It’s in our home, in our cars, and in public spaces including stores. And now, Google is in the game. Criteo data shows that the Google Home mini was the breakout consumer electronic gift of Holiday 2017 while Amazon’s best-selling product of the season was the Dot. For CES, Google took connectivity to the next level with integrations all over the city of Las Vegas. 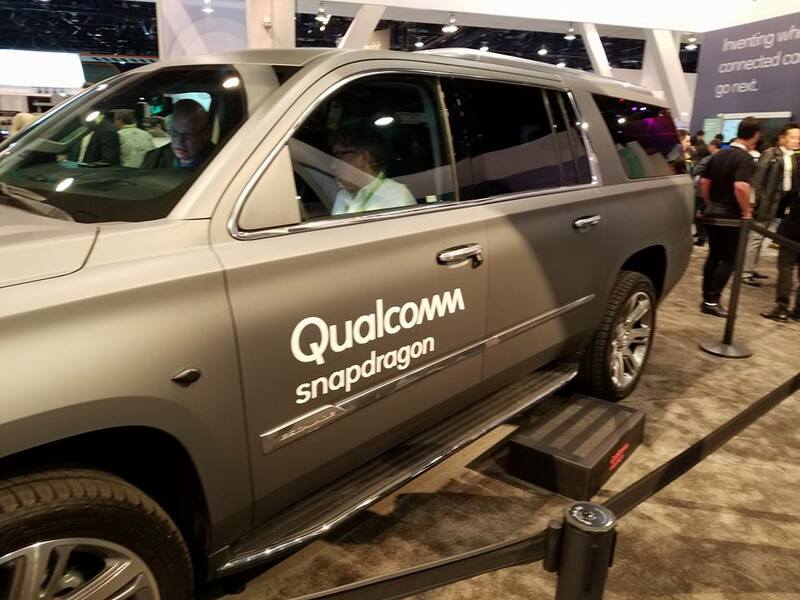 At the Qualcomm display, we saw how the tech giant is truly transforming the everyday, leading the way with Snapdragon, a mobile platform that makes possible intelligent mobility in self-driving cars, and an AI mobile platform that uses extended reality (XR) to enhance the user experience. This is the year that tech companies thought about context, and voice shopping is only one way in which new tech is making lives easier. Companies like LG and Samsung, Whirlpool, Honeywell and Nest are innovating wildly with smart homes and appliances that will all be operated via voice and networked. Samsung is aiming to have 80% of their products connected by 2020. 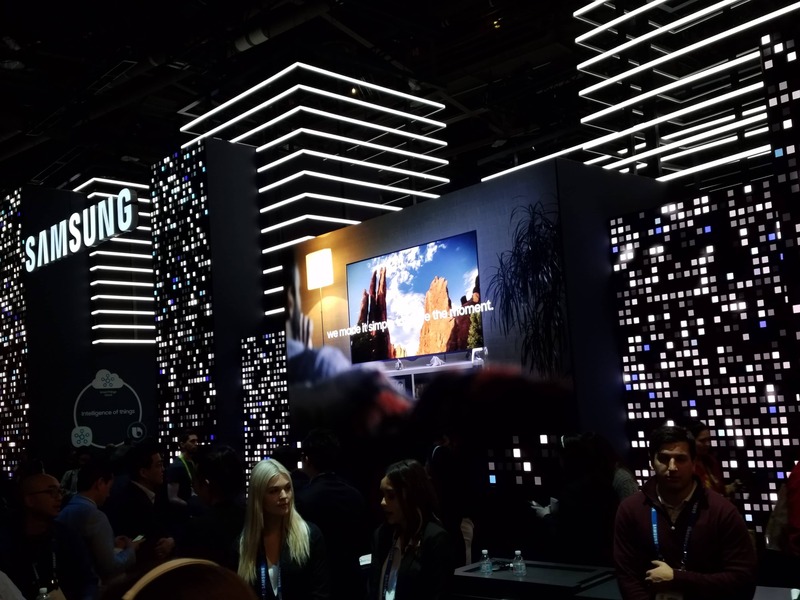 We saw this in action at the Samsung display, where there was much more than just the cool smart phones and TVs from past CES’s. It was a connected city. Here, smart phones and smart TVs are simply two of many everyday devices, powered by Qualcomm, that are part of a larger connected world. Voice-controlled smart appliances will help keep shoppers connected to the commerce platforms they use and rely on every day and keep their homes running smoothly. Appliances that efficiently meet the demands of the lives of busy working parents are the ones that’ll carry us into the future. Refrigerators that connect to Amazon can ensure that you never run out of groceries as they’ll automatically reorder the items you’re out of. And if you allow Amazon in your house with Amazon Lock, Amazon can send deliver straight to your door and help you put the groceries away. Homes are far from the only places being revolutionized through IoT. Tech companies have long been exploring how technology can make their product experiences better. Companies are embracing not just voice commerce, but AR and VR, and in-store transformations. Ikea’s AR apps increased sales by five times by allowing shoppers to see products in the context of their home, all within an Ikea store. And with a cashless and cashier-less future not too far off, companies are increasingly allowing shoppers to purchase on any device, from their smart appliances to smart watches. Tech is leading the transformation of how we shop and live and data is the currency of marketing/shopper connection. In the future, every surface – fridges, car dashboards, even your showers – will be a point of sale. After all that’s why we’re here. The ‘C ‘in CES stands for Consumer, the business that Criteo is in. We help shoppers discover not just what they need but also help them discover new things they will love. And at CES 2018, we’re discovering something we love: a future of true, frictionless commerce.